Hello! How do you do? My name is Sally, though most people like to call me Sally O’ Mally. It’s cute and it rhymes, so why not?! 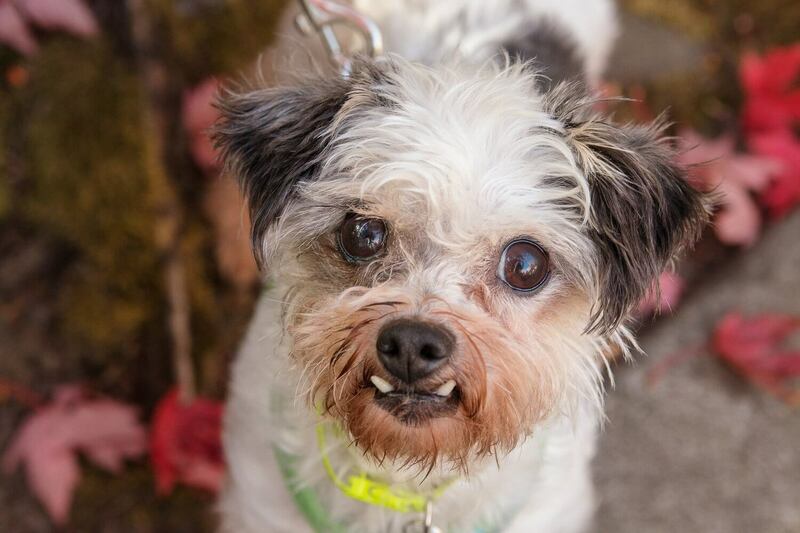 I am a 7 year old Shih Tzu mix at 9lbs, with the cutest little underbite you have ever seen! When it comes to this gal, I am all about the outdoors. My foster mom says I would stay out there for hours if I could. I would be an excellent morning walk companion and even a nice little hike in Forest Park would be perfect too! Not up for going out today? Well, no worries as I also really enjoy playing fetch! Even if the tennis ball doesn’t quite fit in my mouth, I enjoy chasing it around. After all the activity, I am quite the snuggle bug and loving sitting on your lap. I love to have all the attention on me, so even though another doggy in the home would be ok, I just would really enjoy having all your love to myself! Thus, I need to be in an adult only home with no kitties. But that just means you get to be the star of my show and get to have all my cuddles to yourself! Sweet, adorable, and full of love, I am ready to share it all with you. So fill out an application today and we can meet! I come to you spayed, vaccinated, and micro-chipped with an up to date dental with an adoption fee of $350.